A unique memorial glass art sculpture featuring Lovebirds design, and set in a handcrafted, sustainable hardwood oak base. 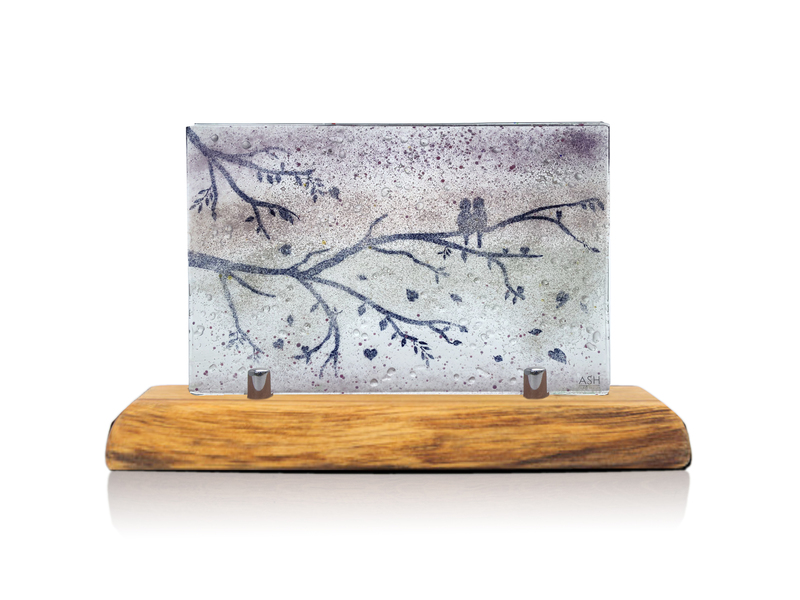 A unique memorial glass art sculpture featuring our Lovebirds design, and set in a handcrafted, sustainable hardwood base. No two pieces are ever alike.